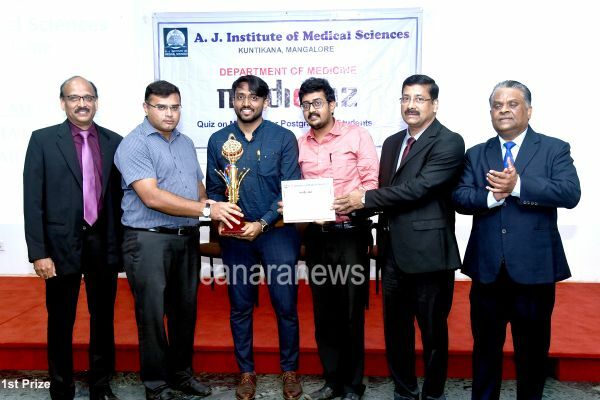 Mangaluru Feb.02: K.M.C Medical College Mangalore team comprising of Dr. Harsha Sagar and Dr. Vivek Kaushik emerged as winners and clinched the glittering Post Graduate Medicine Quiz - 2019 Trophy. A.J. 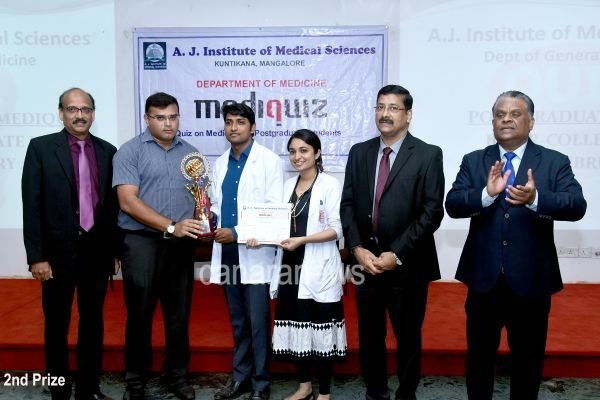 Medical College, Mangalore Team comprising of Dr. Sharanbasava and Dr. Ms. Shifali Prabhakar were declared as Runners up. The Dept. of General Medicine A.J. Institute of Medical Sciences as part of their continuing medical education programe conducted Dist. 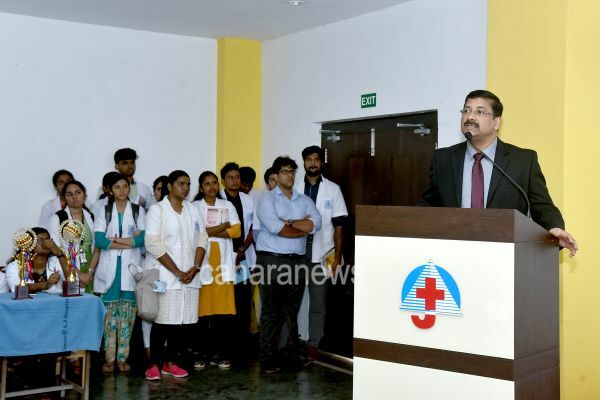 level Inter Medical Collegiate Quiz Contest “Mediquiz – 2019” exclusively for the Post Graduate Students on 02.02.2019 at their conference hall. 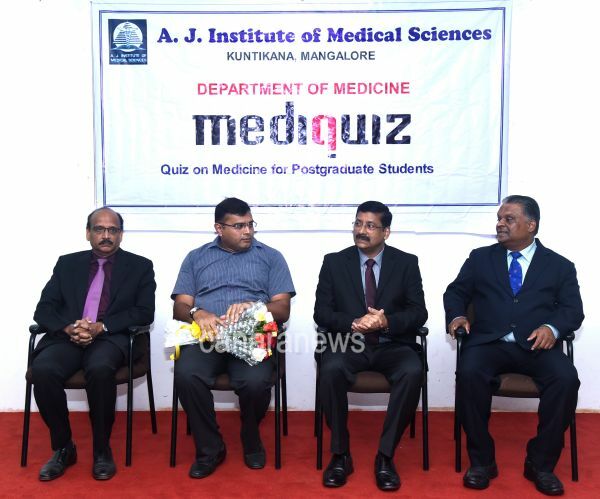 The Quiz was exclusively on General Medicine subjects. Vice Chairman of A.J. Group of Institutions Mangalore Mr. Prashanth Shetty graced the occasion as Chief Guest and awarded the Trophy and Merit Certificates to the winners and Runners up and congratulated them on their exemplary achievements. College Principal Dr.Ashok Hegde and Head of the Dept. 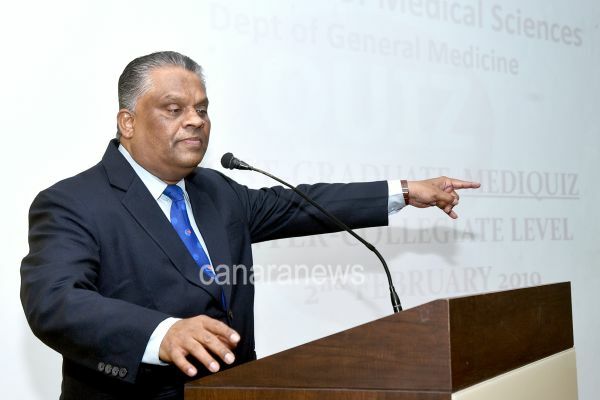 of General Medicine EVS Maben were the guests of honour, Former Principal Dr. Ramesh Pai, Prof. of Medicine K.M.C. Dr. Mohammed Ismail were present. Dr. Devdas Rai was the Quiz Master. 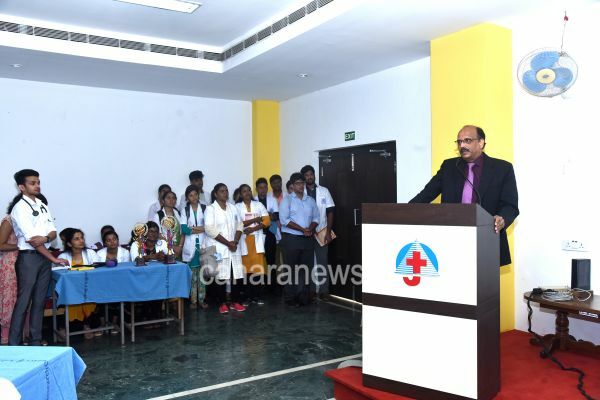 The contest drew teams from 7 Medical Colleges from undivided D.K. District K.M.C. 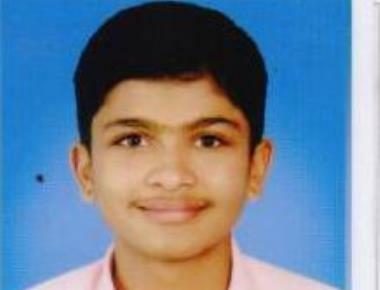 Mangalore, A.J.I.M.S., KSHEMA, Fr.Muller, Yenepoya, K.M.C. 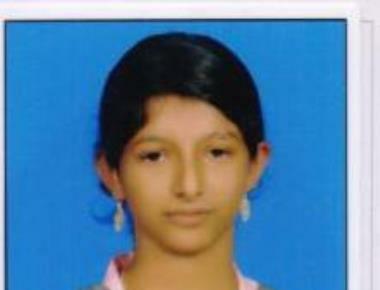 Manipal and K.V.G. Sullia. Dr. Adil Welcomed and Dr. Ms Shilpa, Dr.Ms. 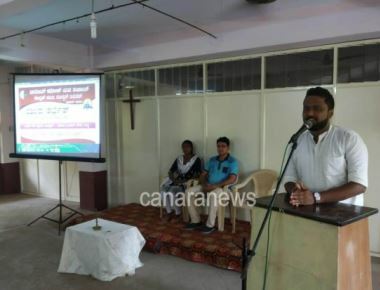 Raksha and Dr. Ms. Nikitha officiated as Score Markers Dr. Ms. Nehal proposed a vote of thanks.